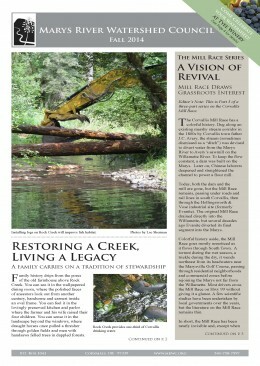 Highlights include part 3 of the series on the Mill Race and the Blakney property along Greasy Creek. 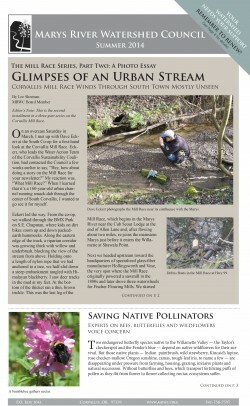 Highlights include part 2 of the series on the Mill Race and pollinators. 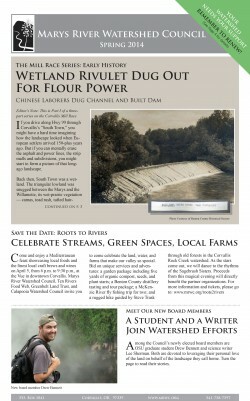 Highlights include part 1 of the series on the Mill Race, connecting kids to nature, and new board members. 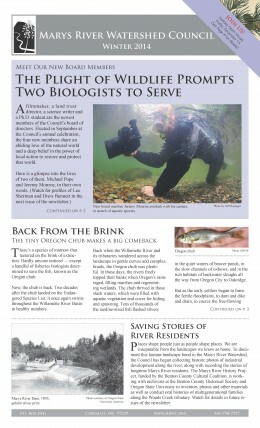 Highlights include the life of underwater filmmaker and MRWC Board member Jeremy Monroe, MRWC’s financial picture, and an interview with Michael Pope.